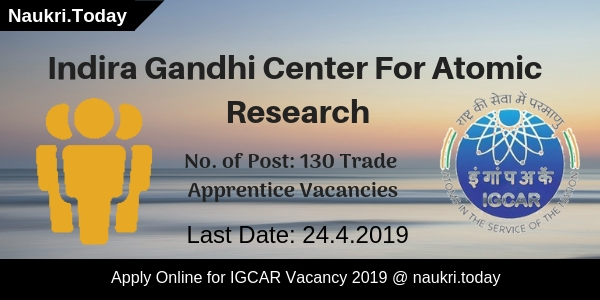 Indira Gandhi Centre For Atomic Research has published notification for recruiting candidates on Trade Apprentice Vacancies. There are 130 vacancies are available for IGCAR Recruitment 2019. Interested aspirants may fill up their application form from 10 April 2019. The Registration will be closed on 24 April 2019. Candidates who have 10th Pass Degree with ITI can fill up their application form through online mode. The Department may exempt all category candidates from the payment of an application fee for IGCAR Vacancy 2019. How To Fill Online Form fort IGCAR Recruitment 2018 – Apprentice Online Form ? 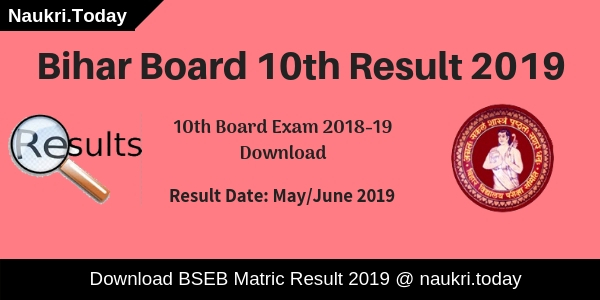 8th & 10th Standard Pass Certificate under 10+2 System of Education or its equivalent. ITI Certificate is not less than 2 years. Selection Process The Department will conduct a Personal Interview. 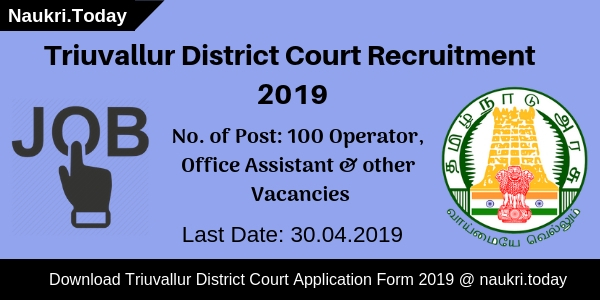 Application fee For IGCAR Kalpakkam Jobs 2019 The Department may exempt all category applicants form the deposition of an application fee. Candidates must carry given below documents with them at the time of appearing in Personal Interview. These Documents should be self-attested by the applicants. Participants must take print out of their fully filled online application form. Aspirants do not forget to paste their recent passport size photo in an application form. The Department will inform participants about Date, Time, and Venue of Interview by e-mail. Community Certificate in the prescribed Format. ITI Marksheet and NCVT/SCVT Certificate. A confirmation copy of Apprentice Registration Through Apprentice Portal. Experience Certificate / Any Other related Certificate. Conclusion: Indira Gandhi Center For Atomic Research Department has issued notification for 130 Trade Apprentice Vacancies. Interested and Eligible applicants may apply online for IGCAR Recruitment 2019 from links given here. Indira Gandhi Centre of Atomic Research is inviting application form for engagement of Apprentice Vacancies. There are total 300 Trade Apprentice Vacancies. Candidates who are interested in IGCAR Recruitment 2018 can fill application form through online mode here. You can fill online form for IGCAR Apprentice Vacancies on or before the last date 15.03.2018 & attend walk in interview which will going to held from 13.03.2018 to 15.03.2018. IGCAR Kalpakkam has issued notification for filling up 300 Trade Apprentice Vacancies. Online registration for IGCAR Vacancies will started from 01.03.2018. Applicants who are looking for IGCAR Jobs Notification this is great job opportunity for them. To get more information about Indira Gandhi Centre of Atomic Research Jobs like Education, Age, Pay scale & other you can collect from below article. In this section we are providing trades of IGCAR Apprentice Vacancies. Applicants can get more information about Vacancies division from official IGCAR Jobs Notification. If you are going to fill online form for IGCAR Recruitment 2018 then check required eligibility criteria from here in the below section. all details about education & age Criteria we are prevising in the below section. Candidates must have passed Matriculation under 10+2 system from any recognized Board fro IGCAR Jobs 2018. Appliers must have hold ITI Certificate. For Gardener & Horticulture Assistant Vacancies candidates must have passed 10th class from recognized Board. Minimum age of the candidates for IGCAR Apprentice Jobs must be 14 years & Upper age must be 22 years as on 15.03.2018. Relaxation in age for Indira Gandhi Centre of Atomic Research jobs is applicable up to 05 years for SC/ST & 03 years for OBC Category candidates. There is no need to pay any application fees for filling online form for Trade Apprentice Jobs. All category candidates are exempted rom paying application fees for IGCAR Vacancies. Selected candidates will paid per month stipend as per organization norms for IGCAR Apprentice Recruitment. For more details candidates can check official notification. Candidates will selected for IGCAR Apprentice Vacancies on the basis of Walk In Interview. Final merit list will prepare on the basis of Marks obtain in interview. Further information about Selection you can check the IGCAR Jobs Advt. First of all candidates log on to the official website www.igcar.gov.in. Now click on Recruitment section & Click on IGCAR Vacancy Notification link. Read all the information mention in Advertisement properly. If you are eligible then click on apply online form link. Fill all required information in form properly. Recheck all details filled in form before submission. Click on submit button & Take print out of application form. Now go to walk in with required documents & Application form. Conclusion : – IGCAR Recruitment 2018 For 300 Trade apprentice Jobs. candidates can fill online form for IGCAR Vacancies on or before the last date 15.03.2018 & attend walk in from 13th to 15th March 2018. Check more information by reading the article.